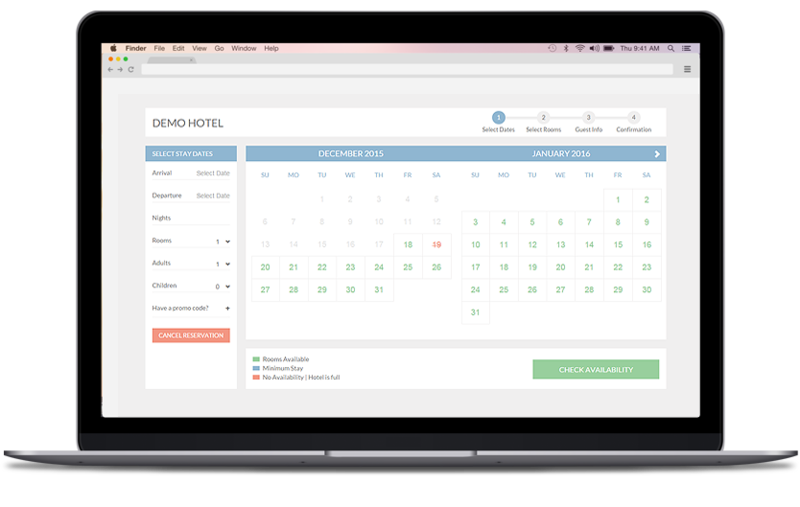 Snap PMS is an all-in-one hotel reservation and property management system designed for all types of small properties. Small Hotels, Boutique Hotels, Motels, B & Bs. Pricing starts at just $119 per month for a full property management system that will work on any type of computer – Desktop, Laptop, Tablet or SmartPhone. Snap included everything you need in one simple package. Most hotel management software is complicated. Snap is simple. 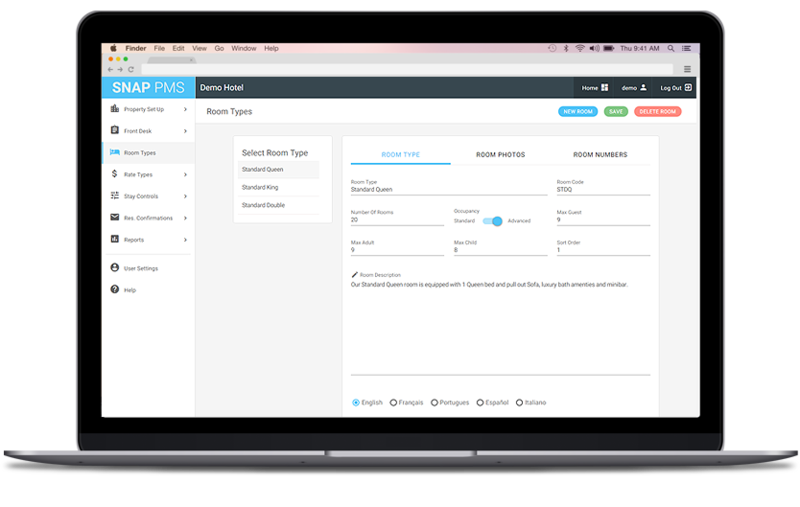 Snap PMS is different than most other property management software. Snap has all of the features a small property needs to smoothly manage the property, guests and staffing. "drag-and-drop" room number changes will you save time. Increase direct bookings via an integrated internet booking engine. Cut OTA costs dramatically by booking guests on your website. Reservations are instantly delivered from your website and other booking channels to your front desk. Availability is automatically updated as bookings occur. The Snap booking engine is mobile-friendly. Your guests can book via desktop computer, table and smart phone. 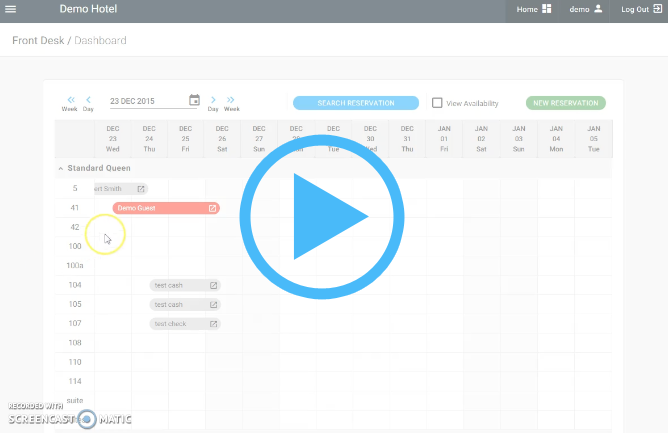 Manage multiple booking channels via one click in the Snap PMS. Attract guests by connecting to the world’s leading booking sites. We connect directly to all of the major OTA channels such as Expedia, Booking.com, TripAdvisor and more. 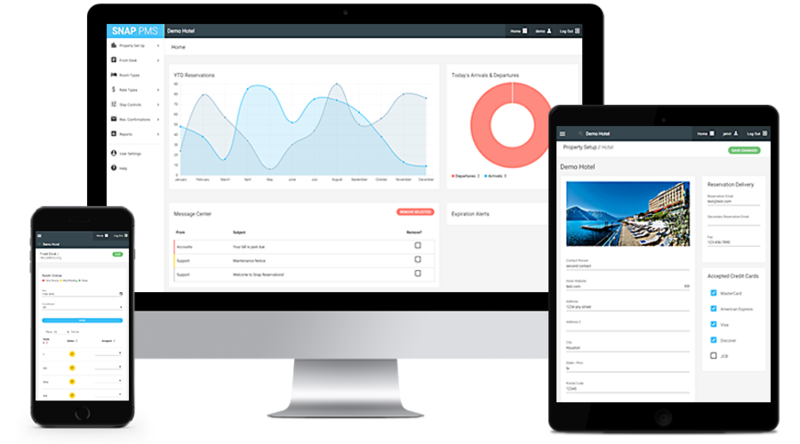 The Snap PMS housekeeping module allows your housekeeping staff to track arrivals, departures and in-house guests to efficiently schedule housekeeping duties. 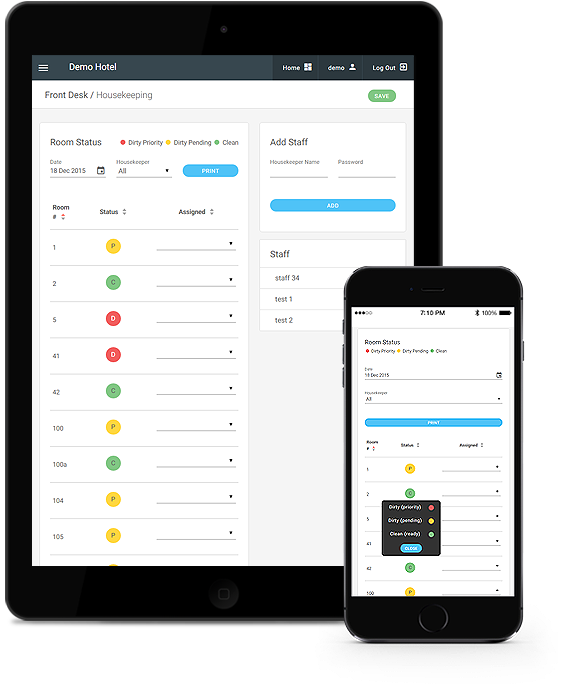 It allows your staff to access the room status report via smartphone or tablet anywhere on-property. HK staff can update room status reports in real-time via smartphone so the Front Desk always has real-time room-availability to speed the check-in process. As an alternative, you can generate paper HK schedules for an efficient, low tech solution. “Live” Housekeeping dashboard – Housekeeping manager can track arrivals, departures and in-house guests to efficiently schedule housekeeping duties. Mobile Access – Staff can access the Room Status report via Smartphone or Tablet anywhere on-property. “Live” updates – HK staff can update room status reports in real-time via smartphone so the Front Desk always has real-time room availability to expedite the check-in process. Go low tech – No mobile devices? No problem. You can generate paper HK schedules for each maid.